First Relax is Coventry's leading provider of holistic therapies. 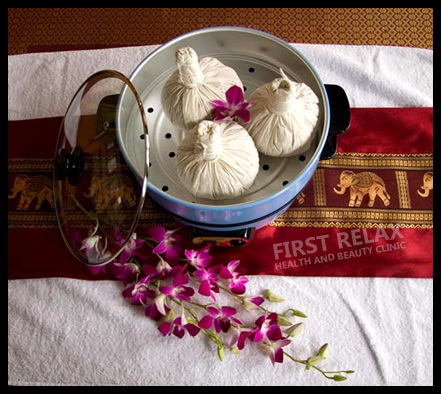 Our therapies include traditional Thai massage, traditional Thai foot massage, Indian head massage. Herbal compress contains a combination of 20-25 different types of traditional Thai herbs that are heated in a herbal steamer. The warm bundles are then applied directly to the body during a massage session. The compress used to relieve sprains, strained muscles or tendons, stiff joints, inflammation and to stimulate the circulation of the blood.